In a Strange Land: Four Years in Second Life. What Now? I've been setting out virtual furniture for a group of technologists from a major US aerospace & defense contractor who will be speaking at the next VWER meeting. Their firm is doing some amazing things with virtual worlds, mostly in OpenSim but also with technology that William Gibson would have predicted in Neuromancer : exoskeletons, VR rigs for antiterrorist training, and more. Meanwhile, consumer-level VR interfaces make halting but continued progress. The Wii and Kinect are first steps to a future when such technology could meet changing norms about being in virtual spaces. Even partial immersion "creeps out" too many of my peers and students. But what if, as Edward Castronova claims in Exodus to the Virtual World, norms slowly begin to change? Then we might experience something like Gibson's Matrix or Stephenson's Metaverse. I don't plan to be in-world 24/7, but I'd like the option to be a tourist in such spaces, from time to time. 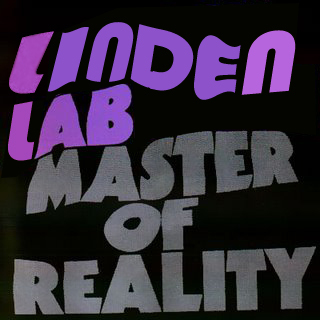 Linden Lab has been an early pioneer here, and though I've said intemperate things about them in the past couple of years, it's been more out of disappointment for what might have been. Perhaps we'd have all been better off without the media-storm in 2006 and 2007. It made us dream too big too soon. Now, however, that early optimism has changed to a balance of weariness and hard work. My colleagues are divided on the future of 3D immersive worlds. Some suspect they'll be a niche forever. Others, citing trends among younger Millennials, claim they will make the revolution to build a 3D Web happen. I hope so. Though I like the older Millennials I teach, they are too serious and career-driven to start a revolution, and they lack enough experience with open-ended play to imagine one. They don't turn off their hive of social networking long enough to look deeply inside. They are always in a hurry. But they are nice kids. I worry about them when they get older and life throws them some curve-balls. I hope their younger siblings show us all a few new tricks. Whatever happens, as I look back over four years, my colleagues, friends, and I have been pioneers on the edge of what is possible with our computers. I don't feel like an SL newbie any more. Are SL years like dog years? I blew through my rezzday without realizing it. I'm sorta over that. 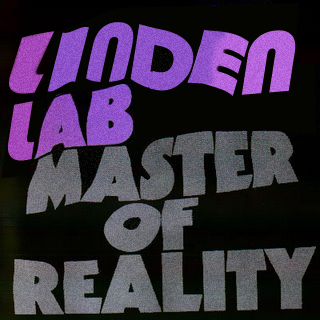 Am I feeling charitable or could LL still be masters of this new reality? If not, they sure as hell gave us a good ride at times. I hope the new CEO can keep the torch lit and the ride will continue. "It made us dream too big too soon." Seriously. Where are the flying cars that we were promised years ago? This is so cool to think of the possibilities involving a 3D Web. As far as finding niches online: I have a friend who is fully immersed in World of Warcraft (nearly all the time). What happens when a 'niche', in this case a game, breaks down? Will the end of WoW mean the loss of friendships for him? I've always considered such a circumstance with my small collection of friends on Xbox Live. New generations are applying new meanings to the word 'friend' in ways that parents can no longer understand. Furthermore, I imagine that the very idea makes parents wrought with discomfort. I'm not sure exactly how relevant to your post this ended up, but I think this new idea of what and who friends have become is a critical one that has to be considered. Mike, excellent question and very relevant to the post. I'd not considered the issue of friends online and what happens when a virtual experience ends or even--as is the case of my friend Tenchi, who writes for this blog from time to time--what happens when a friend leaves the platform. Right now, WoW seems unstoppable. But so have other collaborative technologies that have left the scene or become shells of what they might have been. Napster? Sims Online? Angelfire? I worry when an online community ends. No one, however, had virtual weddings or adopted virtual children through Napster. Such activities make the non-immersed chuckle, and perhaps rightly so. But I've seen and heard how attached SL partners can be. I'm sure it's similar in WoW. You have to wonder about the psychological scars that the end of such a world would bring. I don't think the makers of these worlds--out to change the business and make a fair profit--ever consider the price of immersion. We can hope, for the sake of these players' well being, that they can migrate to a new experience. Sims Online players moved to SL; lots of Everquest players have moved to WoW. With more options such as Sony Home and perhaps some version of Xbox Kinect with avatars, other options will be there for the "homeless."